When the Future Arrives, What Role Will HR Have? The future is scary when you have no idea what’s coming — but that doesn’t mean companies and their human resources teams are powerless in preparing themselves. It’s time for HR departments to play a key role in not only predicting the future, but also actively moving their business in the direction it needs to go. According to workplace and learning futurist Rick Von Feldt, HR pros have to become futurists and predict the future of their company for themselves. With this approach, HR leaders won’t just know more about the future — they’ll also be able to make more deliberate decisions and institute the right changes for the company’s future. Here, we talk to Von Feldt about how HR leaders can discover not only what drives change at their company, but how certain trends (i.e. growing automation) may impact their businesses and what it means for them. Only then can they evolve how they work to better suit the needs of the organization. 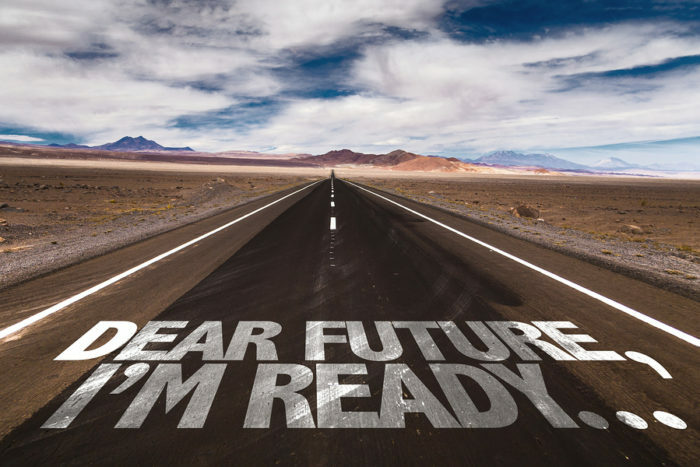 What’s the future of your HR? Before HR pros start to change the way they work, they have to take a step back and look at the big picture: What is the role of HR in the future at your company? Culture — Culture is so critical to company success that specific individuals within the HR department should be dedicated to maintaining it, according to Von Feldt. Culture creates competitive value because it gives employees a reason to do their best every day and drives engagement, he explains, and must be a priority. The rest of HR’s tasks, meanwhile, are secondary — they have to be done, but HR leaders can choose to outsource them, digitize them or eventually, get rid of them. Labor — Another area of focus encompasses labor, supply and pipeline, or as Von Feldt puts it, “The speed at which we can know, understand and provide the most capable people to our organization.” This means that while a process like onboarding can be automated to some extent, HR professionals —humans — should still drive the strategy behind it to ensure it aligns with the goals of an organization. Shifting capability — Understanding the direction of workforce capability is another area HR teams should prioritize. For example, in recruiting, they’ll need analytics software to help identify which candidates possess the skills needed to do a certain job today, but it’s up to the recruiters themselves to consider the skills that certain jobs will require tomorrow. When interviewing candidates, they should say, “Tell me the seven capabilities and skills that you’ll train for for the future. Show me what you’ll do to get the organization ready for that — not what you need to do today,” Von Feldt suggests. Organizational alignment — One of the most critical functions of HR organizations in the future, Von Feldt believes, will be organizational alignment. HR pros will be tasked with constantly looking at ways to realign the organization to make sure that everyone is adding competitive value. They will be agents for change, he says. Charles is the Senior Director of Analyst and Community Relations at Cornerstone. He came to Cornerstone interested in the ways that technology can impact how organizations evaluate, motivate and value their employees. Charles is a study in permanence, having worked in every dark corner of Cornerstone since the early days of the company more than 16 years ago.